01. Wool & The Gang Knitting Kit ; 02. Christian Lacroix Journal + Desk Box ℅ Garden Collage ; 03. Petite Mila Rosy Trousse + Pentel Aquash Watercolor Pens ; 04. 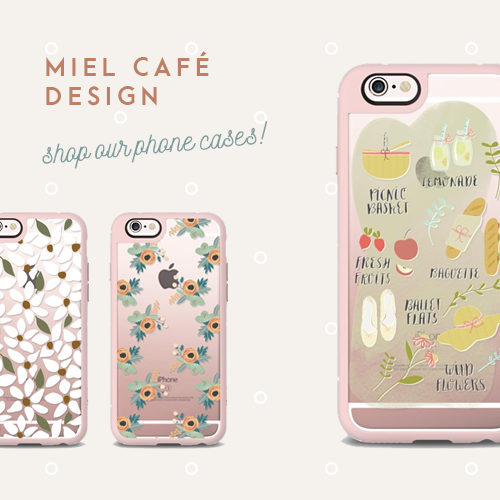 Miel Café Design x Casetify Lemonade Phone Case ; 05. Deer Zoofold Animal Hat ℅ Zoofold ; 06. Watercolor Wishes Card Kit ℅ Stampin’ Up! Being such a lover of crafts and homemade myself, buying gifts for any crafty friend is one of the things I love the most around Christmas time! This is why today’s Unconventional Christmas Gift Guides episode felt so spontaneous to put together and it’s one between my favourites out of them all! 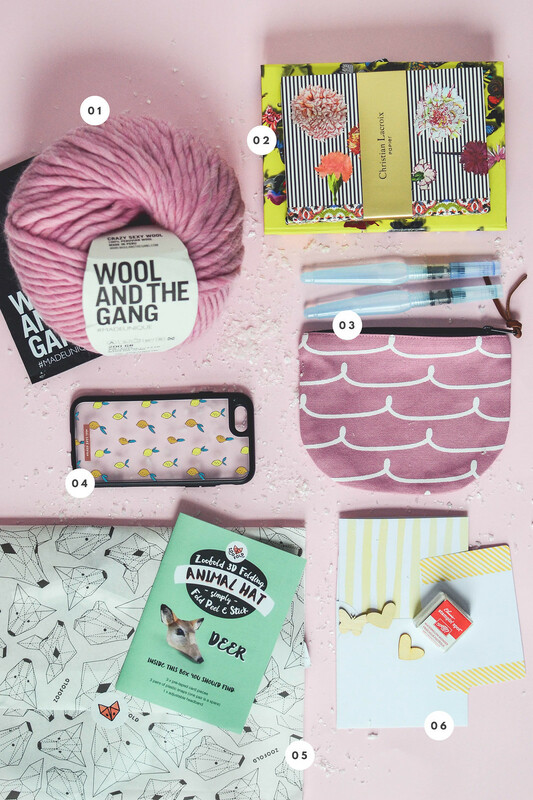 Today’s Christmas gift guide is a selection of items any creatives will adore, including DIY kits, paper and stationery gems, and handmade items from small independent businesses a crafter can’t *not* appreciate! 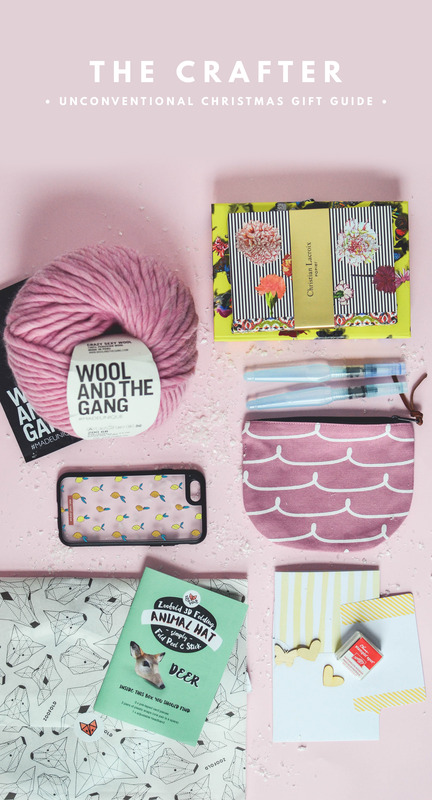 I was recently introduced to Wool & The Gang thanks to Instagram and everyone starting to knit because of it, but it is such an interesting brand really! They provide yarn, patterns and supplies to properly get into knitting, whether you’re a pro or you’re just getting started. This kit contains all the basic necessary for any new knitter as well as their Zion Lion Pom Hat pattern to get started. I especially love the pink option, but they have a lot of different colours (as well as patterns) to pick from – and they also sell ready made knitwear if your gift recipient is lazy instead! Chances are your creative or crafter is a lover of stationery and paper too! If you plan on spoiling her this year, Christian Lacroix does some pretty incredible notebooks and diaries, that, as a stationery lover myself, I bet would make for a well-welcomed luxurious gift for anyone who loves to take notes! Pair it with one (or all) of their Desk Boxes and you’ll get the perfect dream gift for any stationery lover. Calligraphy and brush lettering are big trends this last couple of years, and if your crafter is someone who’s getting started or is a pro already, she will surely love a nice selection of calligraphy tools or these watercolor pens for a change! Also, you might remember Petite Mila from my Etsy Favourite Finds series; well, she has just released a whole new collection of handmade organic cotton pouches with the cutest patterns ever. Make sure you check her Etsy shop out because her products always impress when given as gifts, whether or not paired with pens really! I hope you won’t mind a tiny bit of self promotion, do you?! Because not only this phone case features my own design (I have a whole collection here if you fancy a peek), but I’m very partial to Casetify’s phone cases just in general. So far they’re the best I have ever tried, very solid, protection is amazing and apparently you can drop your phone as much as you like with them on (although I’m not very keen in testing if it’s true), and their New Standard cases come with interchangeable backplates so that you don’t have to invest in a new case everytime you fancy a new pattern/design! I was recently introduced to Zoofold and I’ve immediately thought they’d make for such an interesting and different gift idea, especially for crafters and creatives! They are eco-friendly folding animal masks/hats that will involve a bit of DIY when putting them together as well as a lot of fun wearing or styling your room with them (yes, you can get some use out of them as designer wall art as well!). Thought for parties and festivals especially, they come in a lot of different interesting shapes and are hand-designed by lovely architect India Aspin! 06. Watercolor Wishes Card Kit ℅ Stampin’ Up! I have talked about this DIY card kit already in the past and I’m still a huge fan. This kit comes with all the necessary tools to create custom-made greeting cards, including stickers, paper, envelopes, stamps and everything in between! But at Stampin’ Up! 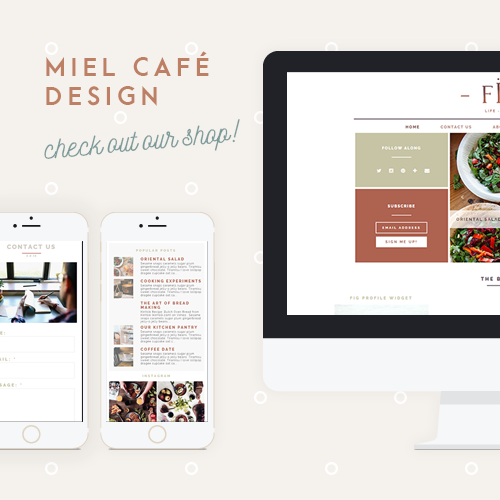 they have a whole lot of different kits and products all worth checking out! That concludes today’s Christmas Gift Guide! Don’t forget to come back every other day for more guides and make sure you check the tag to see them all. Remember, there’ll be an amazing surprise at the end!